The second largest country in the world, Canada occupies two-fifths of the North American continent, stretches across five time zones, and is divided into 10 provinces and three territories. It was once inhabited only by native peoples including the Inuit. The French were the first Europeans to settle in Canada, but after years of fighting the British gained control in 1763.Gradually they took over the rest of the country, as pioneers and settlers moved west and north. Today, Canada is an important industrial nation and one of the world’s richest countries. Most of its manufacturing is based on the natural resources of wood, metals, and mineral fuels. The first Canadians Native peoples, including the Inuit, are sometimes called Canada’s “First Nations” because they lived in Canada long before European settlers arrived and took over their lands. Since 1970, the government has tried to draw these peoples into Canadian society, but many prefer their own culture and traditions. Across Canada colourful ceremonies and festivals demonstrate their proud spirit. Recently, First Nations have begun to win battles for their rights to ancestral lands. In 1999, the Nunavut area in the Northwest Territories became a self-governing Inuit territory, the first part of Canada to be governed by native Canadians in modern history. 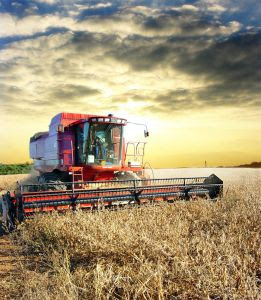 Wheat and cattle farming dominate Canada’s main farming area, the prairies. Elsewhere, a wide variety of fruits and vegetables are grown. Apples, shown growing here in British Columbia, are the country’s most important fruit crop. Between lakes Ontario and Erie lies the Niagara fruit belt. The lakes protect this area from the worst of Canada’s weather, making it the ideal place for growing tender fruits such as pears, plums, peaches, and cherries. 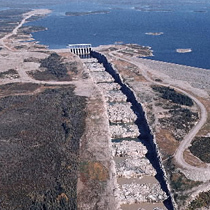 In 1971, construction began on a vast hydroelectric project to dam the rivers that flow into James Bay and Hudson Bay, generating electricity for use in Canada and the US. However, the project threatened thousands of Cree Indians who live in this region. An agreement was reached in 1975 that led to the finishing of the project, and special compensation for the Indians. 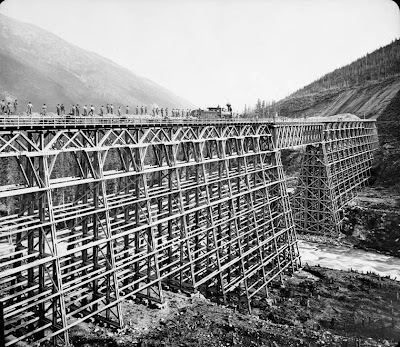 The last spike of the transcontinental rail link of the Canadian Pacific Railway was pounded in at Eagle Pass, British Columbia, on November 7, 1885. It was the start of a new era for Canada, opening up the west for trade and settlement, and finally making the vast country seem like one nation. 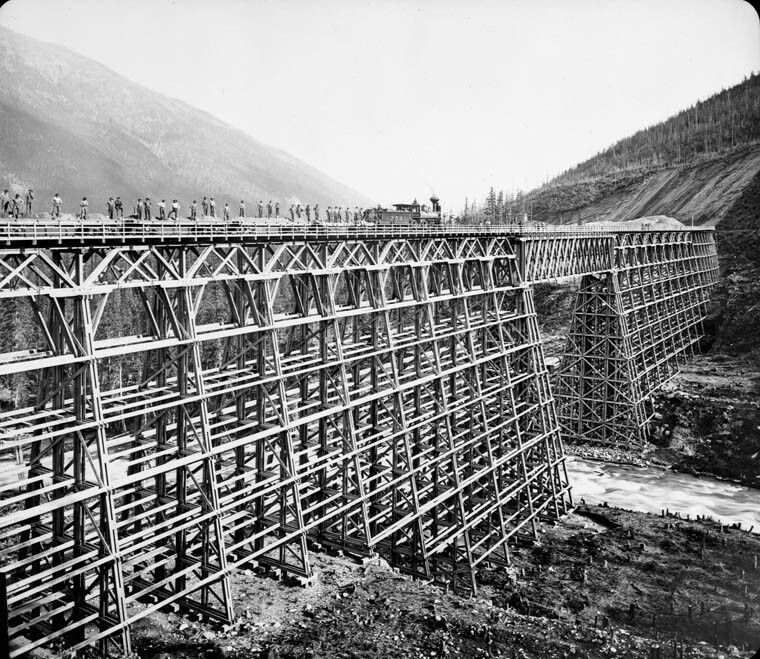 One of the railroad’s most amazing engineering feats is a spiral tunnel-road drilled into the Rocky Mountains. Curving steadily around, the tunnel rises for more than 3,000 ft (914 m). 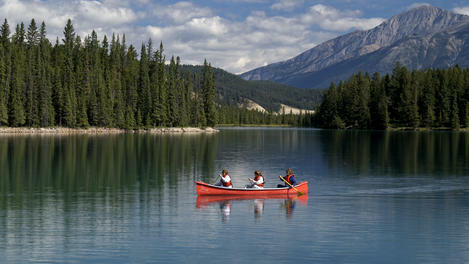 In spite of quicker alternatives, tourists often take the spectacular trip across Canada by train. However, the railroad is mostly used for cargo.